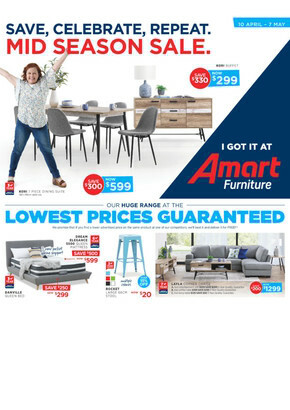 Super Amart is one of the leading furniture, outdoor and bedding retailers in Australia with over 50 stores nationwide and more than 2000 products available to buy. 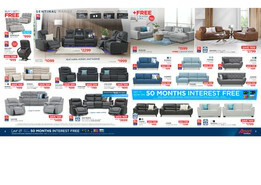 Shop at Super Amart online to browse the latest catalogues and weekly ads for great deals on beds, dining tables, sofas, outdoor settings and more. Choose the best deals and bargains on a wide range of products from Super Amart’s online Sales page. Pick from a variety of categories including Lounges and Sofas, Living and Dining, Bedroom and Mattresses, Outdoor, Homewares, and Office to transform your house into a home today! Super Amart’s products come in a range of shapes, sizes, colours, styles, and materials so you’re never short of choice! Is your loved one moving into a new home? Maybe they’re redecorating or setting up a home office? Then give your loved one the gift of choice with a Super Amart Gift Card! Pick from 5 different values to suit your budget. Visit Shopfully website or app to browse the latest flyer and find all the information you need on store locations and opening hours.